Nancy's Nook : This blog post is making me hungry. You're killing me. 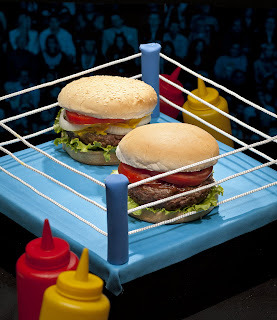 I think I am going to have to get dressed and go get a hamburger now. The best ones come off my backyard grill, but it is too hot to turn it on, and besides I would have to go to the grocery store first. So I guess I will be making a run to Kincaid's. So much for trying to lose weight . . .
Ryan and I's favorite place in Denton is called The Love Shack. There is also one in Fort Worth. I like getting just the regular Love Burger, but Ryan likes the Dirty Love Burger, which has a fried quail egg on it. I'm going to have to try that Love Burger, Laura. I, for sure, like the name. I'm with Deanna, though, for now. Kincaid's is my favorite!! As for the burger, I always liked them at Texas Hamburger Factory in Highland Village, but I think it closed. Around Green Bay, Zesty's makes a good burger. 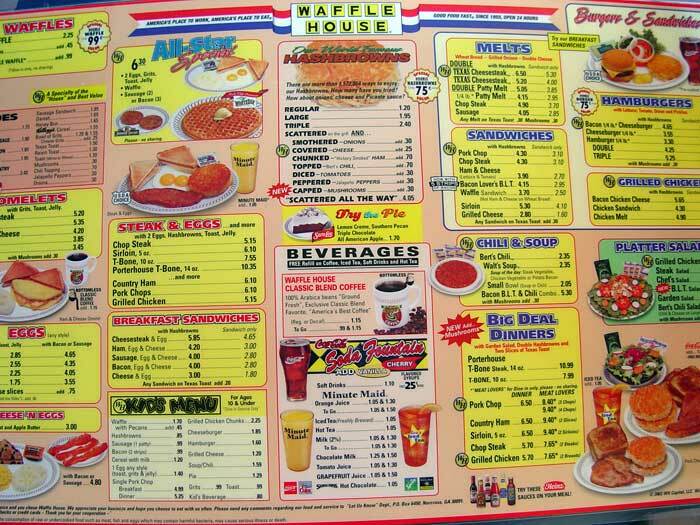 And I can't believe it, but we lived in Texas for five years and NEVER ate at the Waffle House. I guess we'll just have to road trip for that one. I really miss road trips. Yay for WH with your DH, Nancy! I don't think I've had a burger better than Kinkaid's. I went to the Love shack a few weeks ago and I was pleasantly surprised at how good the food was. I wasn't surprised at how hot it was and we were sitting outdoors. I don't recall indoor seating. Just wondering if you have eaten at one of the Original Pancake Houses in the Dallas area? When my daughter and SIL lived in Addison, we would go to one nearby. Soooooo good. Never had a Dutch Baby, but always wanted to! As for burgers, hard to beat The Roadhouse (not the chain) in Bastrop and JD's Cove Harbor between Rockport and Aransas Pass. Both yummy and HUGE. Bobbie, I HAVE eaten at the Original Pancake House in Dallas ... and now they've built on near us in Grapevine... and we are major fans!!! I keep thinking I'll try their Dutch Baby, too.!! Carisa, I'll have to try the Texas Hamburger Factory in Highland Village. 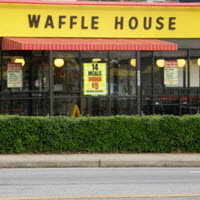 And I'm sorry y'all don't have WAFFLE HOUSES in Wisconsin!! 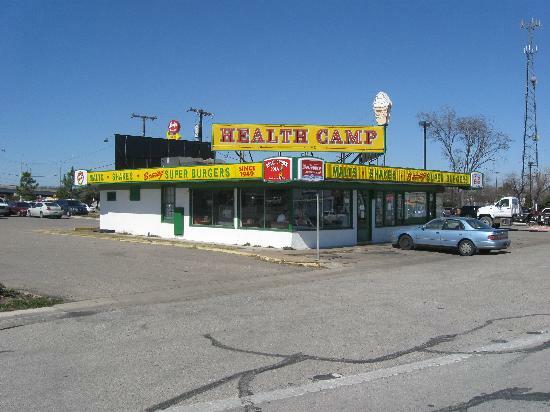 One of our favorite places in Dallas is HOLE IN THE WALL on Harry Hines, a block south LBJ. I think its still there, we haven't been in awhile. I love the picture of all those good ole boys in OK restaurant. You've captured a moment that looks like it belongs in a movie. True Grit perhaps!